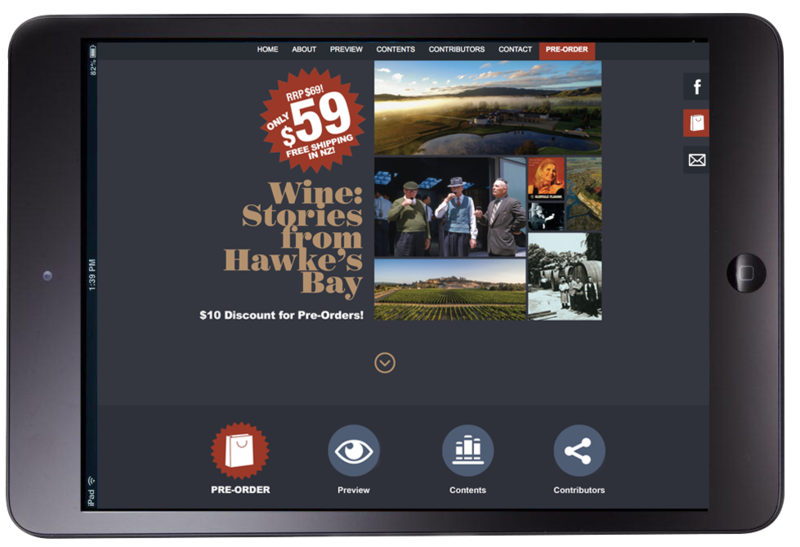 Wine: Stories from Hawke’s Bay recounts the history of Hawke’s Bay’s internationally acclaimed wine industry in a beautiful hard-cover book, to be published by BayBuzz October 2015. In a lively account, writer Mark Sweet sets out the evolution from Hawke’s Bay’s first vines into today’s multi-million dollar industry. Sweet deftly supplements well-researched historic fact, with stories of Hawke’s Bay’s iconic wineries and personalities, and personal anecdotes about key individual players and events.